This time out on Tracks of the Week, we celebrate the new release from Columbus, Ohio’s didi. 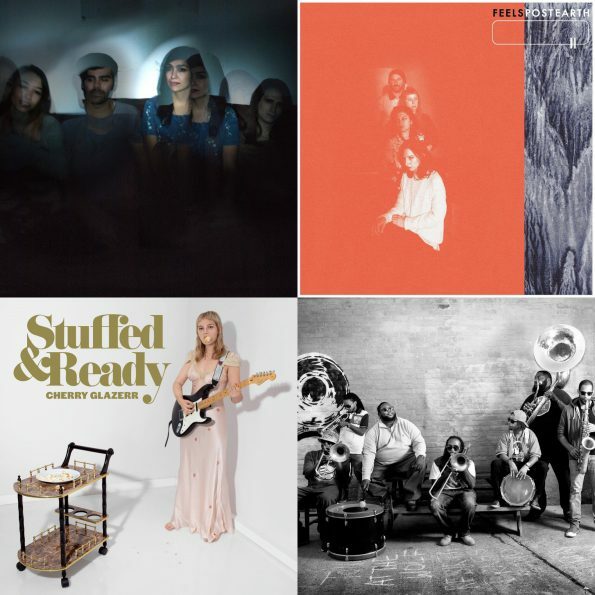 Like Memory Foam, is out on November 23rd on Damnably and pro-immigration anthem “Muerde” is our second glimpse, following up didi’s first single “Haru.” Next up, a quick crystal ball into how badass next year will be, previewing a trio of February releases from some of our LA favorites: Feels, Girlpool, and Cherry Glazerr. “Car” is the first taste of Feels’s new LP Post Earth due out February 22nd on Wichita Records. What Chaos Is Imaginary is the brand new Girlpool LP due out on Anti Records February 1st and “Hire” shows Girlpool continuing to grow and dial in their sound. “Daddi” finds Cherry Glazerr taking a hypnotic left turn, whetting anticipation for their next LP Stuffed & Ready to be released by Secretly Canadian on February 1st. Going out on a literal high note, Hot 8 Brass Band save our souls with their sanctified cover of “Love Will Tear Us Apart,” released as a single on Tru Thoughts back in October. UK/Euro Owls take note: Hot 8 Brass Band will be bringing the noise to your shores in January and February.